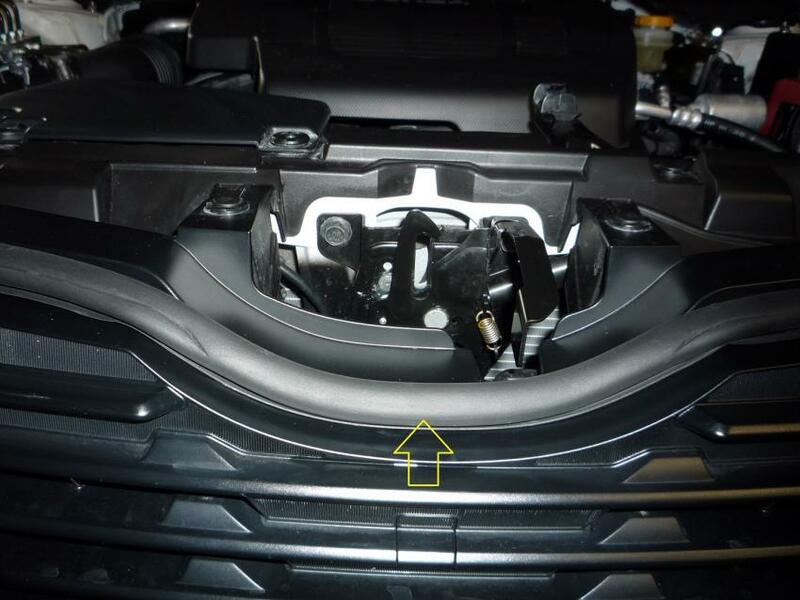 2019 Premium – I discovered that water and salt spray enters the engine compartment via the top of the grill. 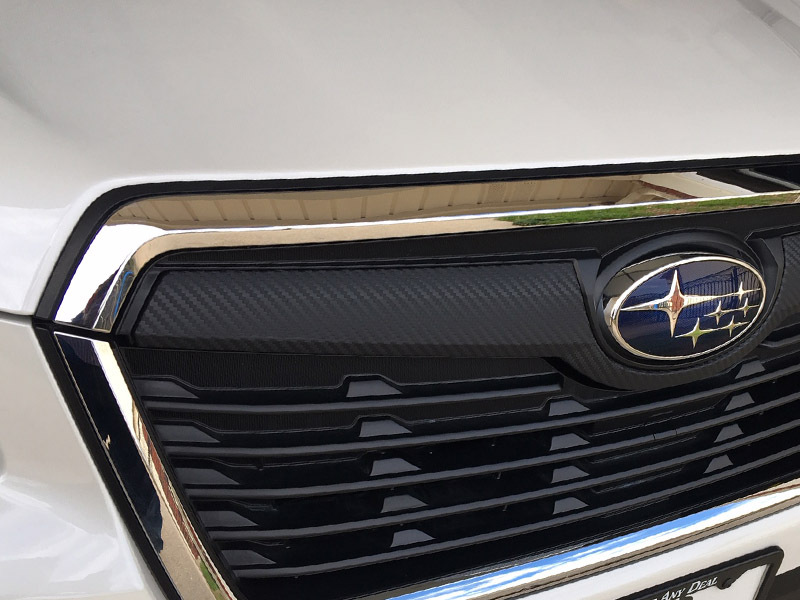 The opening just below the Subaru emblem where the hood closes down on the grill is wide open. 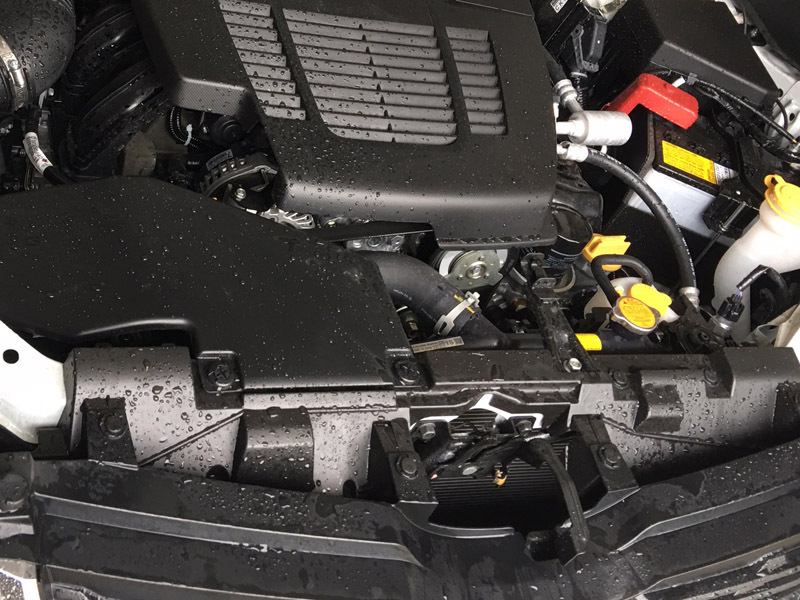 There is no weather stripping or any barriers to prevent water, snow, salt, etc.… from getting into the engine compartment. 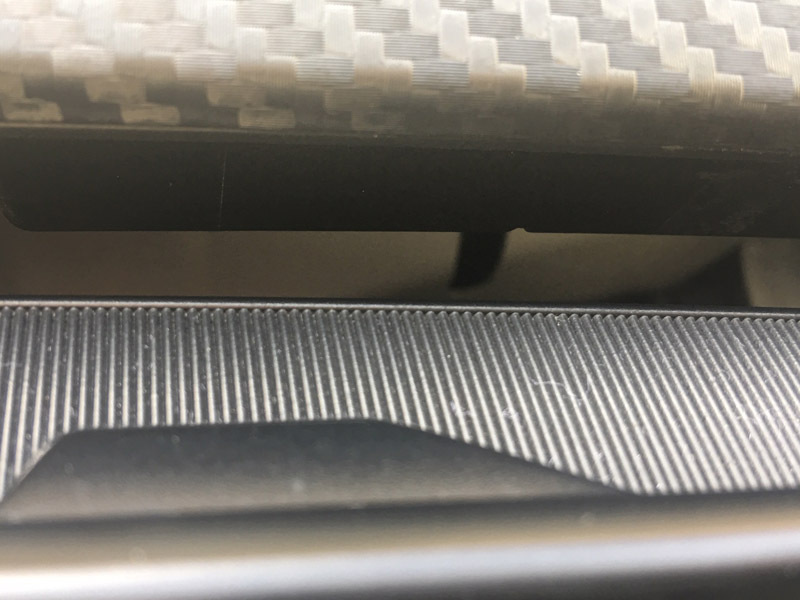 My 2013 Outback Premium has a couple levels of weather strips to prevent this. 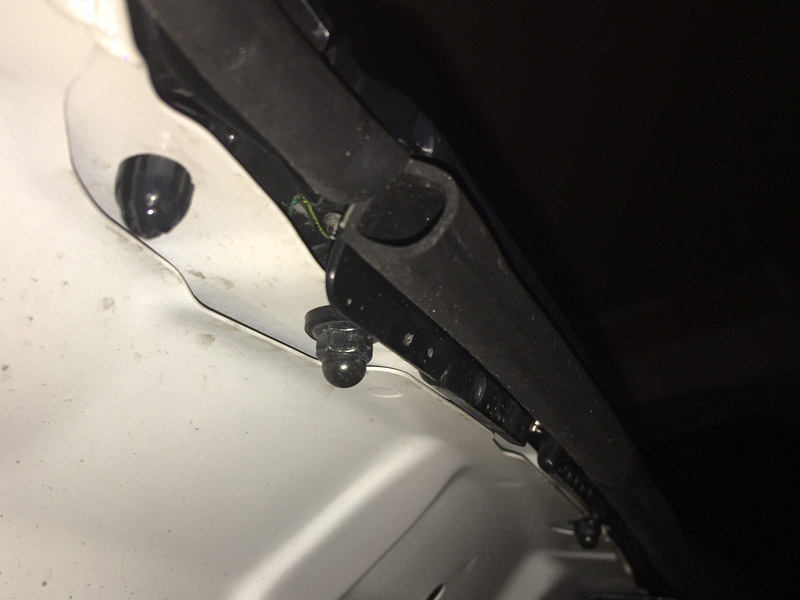 I purchased a length of weather stripping from a local auto supply store and have sealed the hood. The seal is attached to the hood itself and spans the distance between where the headlight seals exist when the hood is closed. This keeps out most of the debris. My first attempt was to place a seal further back on the grill in the same area but it wasn’t as effective. 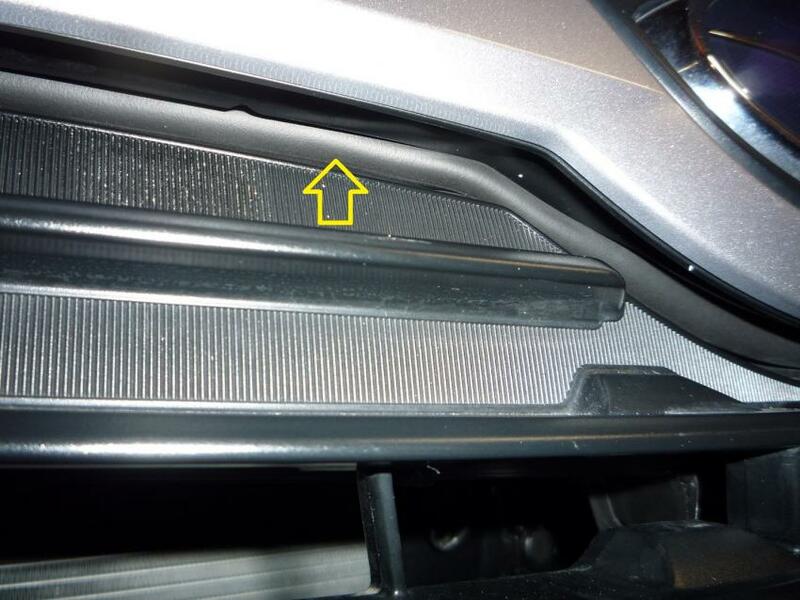 I formally reported this to Subaru of America in February 2019, and was informed that they take customer input and hold monthly reviews with engineers and product designers. Hopefully there will be a TSB or some prompt response to resolve this issue. It’s hard to believe this got past product testing. Your car was fine without any additional weather-stripping. As someone who works for an OEM vehicle manufacturer I can promise you that Subaru did plenty of road spray testing in a wet cell. Based on your car not having a seal there, they did not feel it was necessary. TL;DR - Much ado about nothing. I need to clarify my concern. I understand the engine compartment is not water tight. My concern is related to the finding of water and salt covering the engine cover, battery, oil filter, ABS module, and many other areas. These deposits over time probably will cause issues. I have never owned a vehicle that allowed the top of the engine and other critical components to become so soiled. Can you provide some pictures of what you ended up doing? That would be great! Where there is salt spray there is airflow and airflow is a good thing. If you are in a coastal area salt spray is almost volatilized into the air and exists indoors / outdoors / inside the passenger compartment etc. 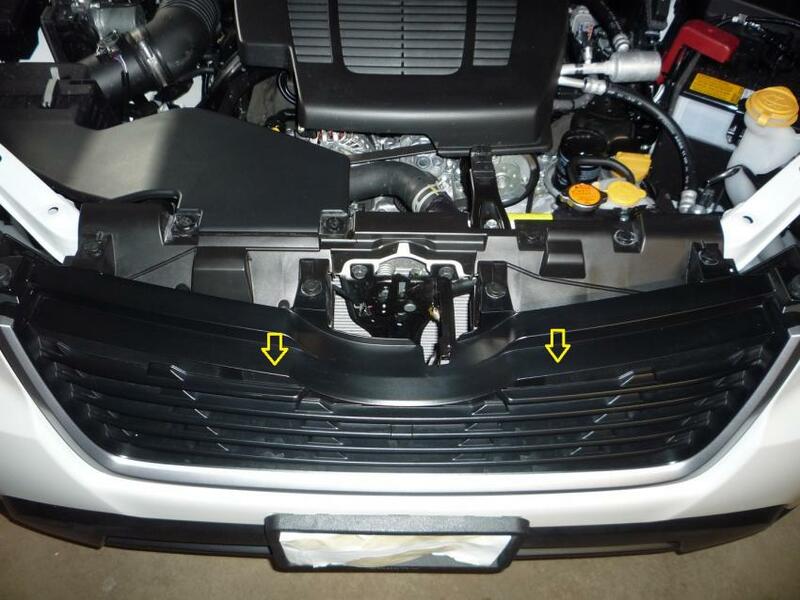 Even considering the 'fix' you have implemented salt will still deposit inside the engine bay. By having adequate airflow you help keep condensation and moisture from being trapped "airing out" the compartment. The best approach is to regularly rinse all components that are water sealed and exposed to salt. God knows the suspension is attacked by salt from the sea or road and your best protection after a snow is clean water rinse of the affected parts. I wouldn't stress about this too much. +1 from someone living coastal. Airflow is good. Owner is responsible for vehicle upkeep and regular maintenance. If salt spray is of concern, “gently” rinse off and “gently” use air hose/leaf blower to assist drying near critical components. You shouldn't do this. Airflow removes heat. Heat causes components to deteriorate. The grill was designed to allow the necessary flow. It happens on every car I've ever driven, just hose it down in spring (regular hose, not pressure washer). I agree that airflow is important but this is the only vehicle I’ve owned that allows for that much to accumulate on TOP of the engine and components. I wash the vehicle frequently as I have an unlimited wash program. 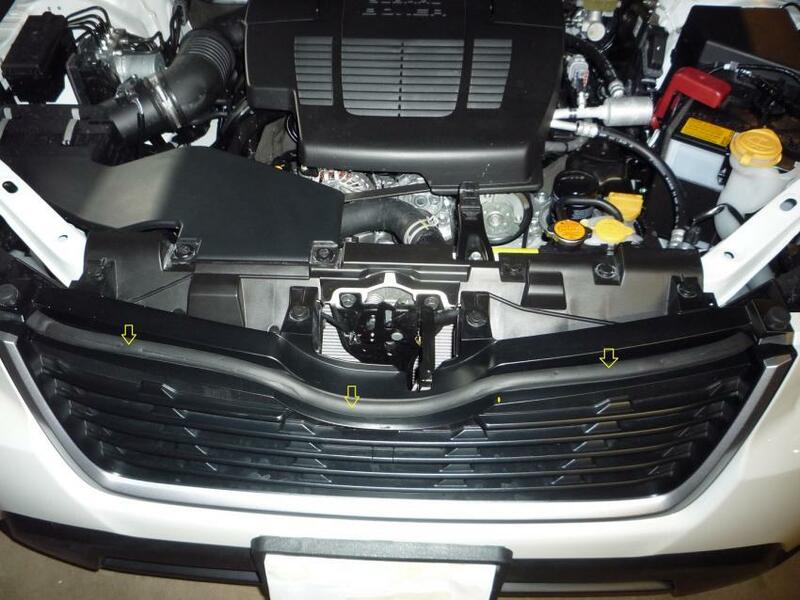 Regular rinsing of the engine, battery, and other sensitive components should not be done. I’ll be very disappointed if I have to frequently clean these areas by hand. 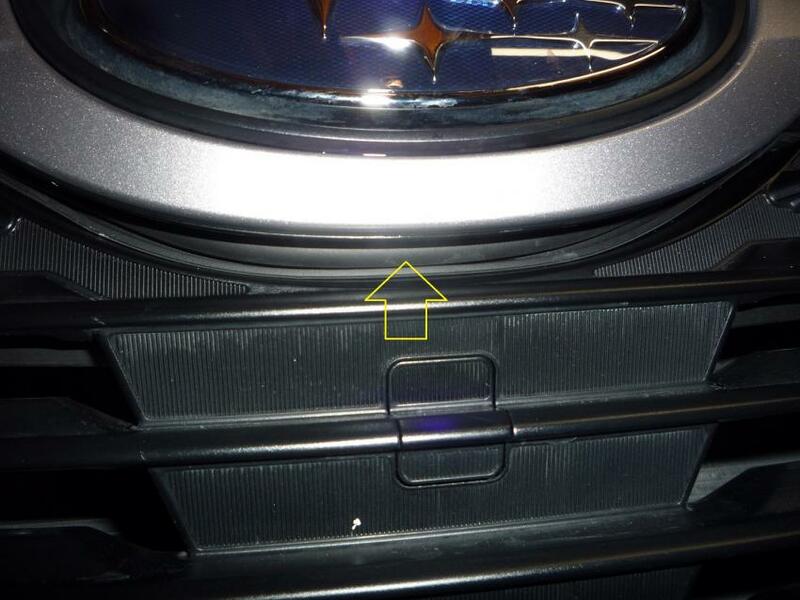 My 2013 Outback still looks new and I do not have this issue with it. It has two levels of weather stripping on its’ hood. 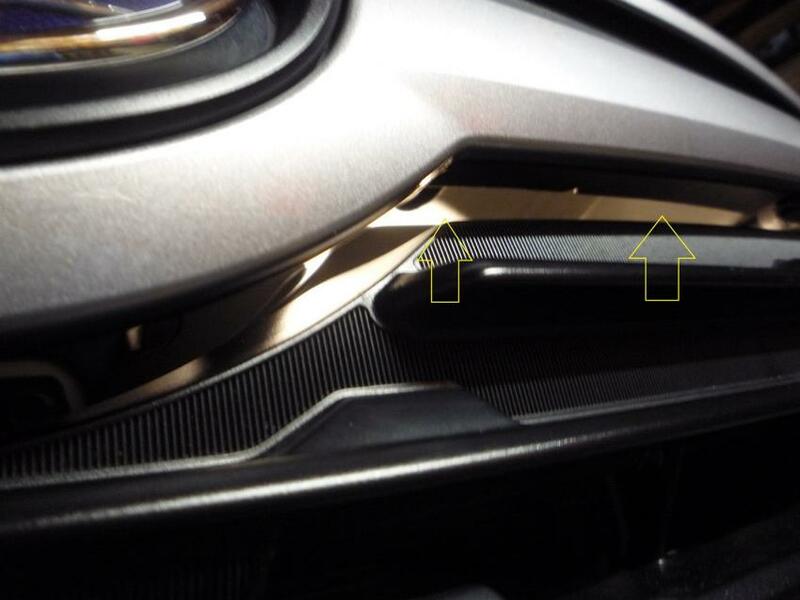 One is on the lip just above the grill the other several inches back specifically to keep water out. I also thought that something may have been removed in the prepping of the vehicle for delivery, but no. 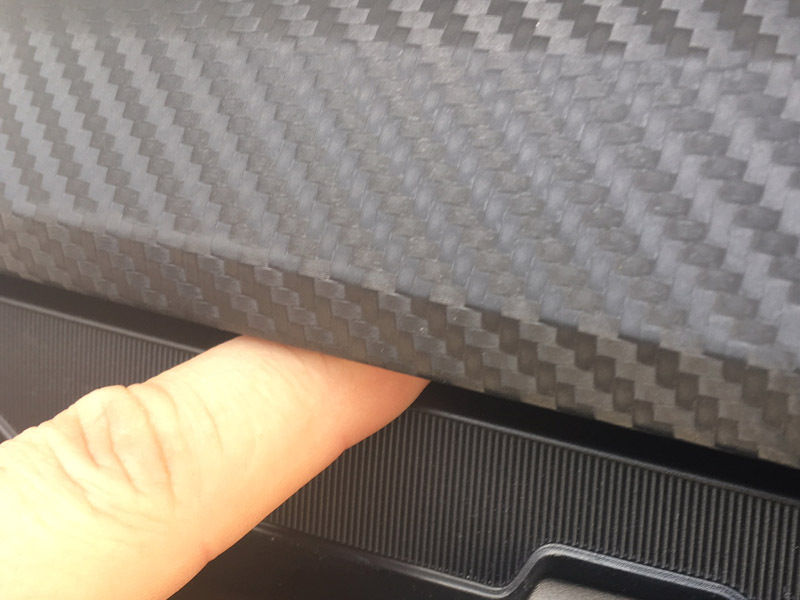 I have looked at another 2019 Forester at the dealer and it also has no such protection. 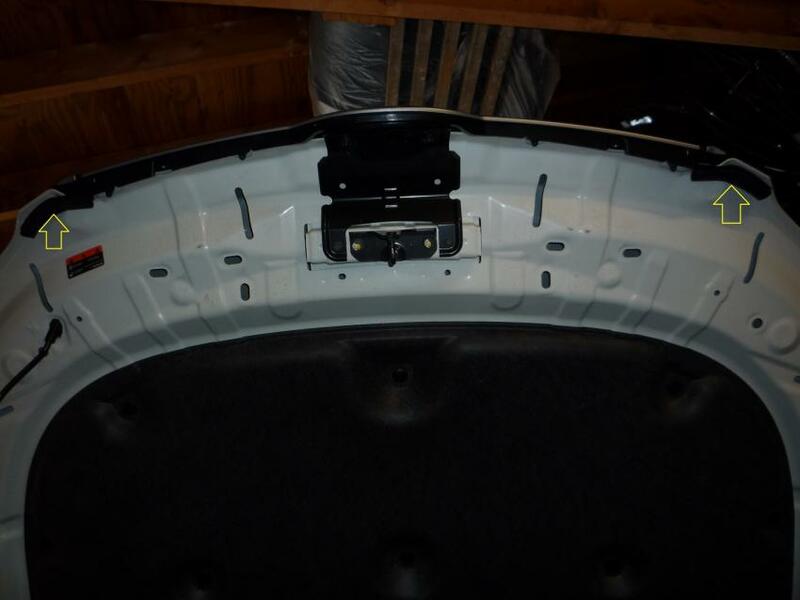 I’ll attempt to get the requested pictures of the installed molding posted. Natedog and scarzy19 like this. However, you say rinsing should not be done. 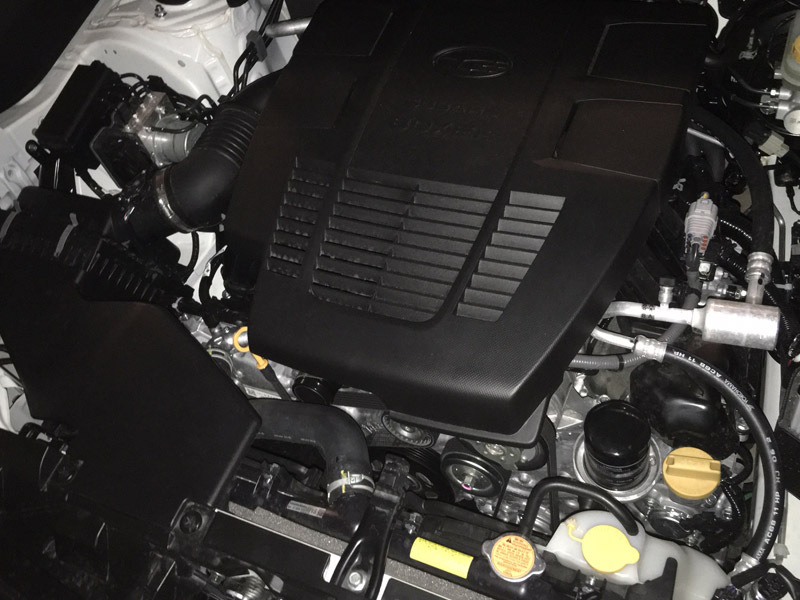 I have infrequently misted my engine bay clean for years on multiple cars without issue. My first post of pictures, hope it works out. Here is the sequence (I hope). The top of the grill to start - The Gap from the top of Grill into the Engine compartment (I had a work light inside) - Weather Strip applied to top Grill rail (I had to move it form the Hood as it would not adhere well) - Hood seals - Hood seal detail (These cover from the Grill to the Headlight fixture - Weather Strip installed - Center detail (does not interfere with the hood latch) - Closed detail Left - Center - Right. These views are look up, when viewed head on it looks fine. Natedog, scarzy19 and UPnorthMI like this. I noticed the same thing on my 19 Touring. 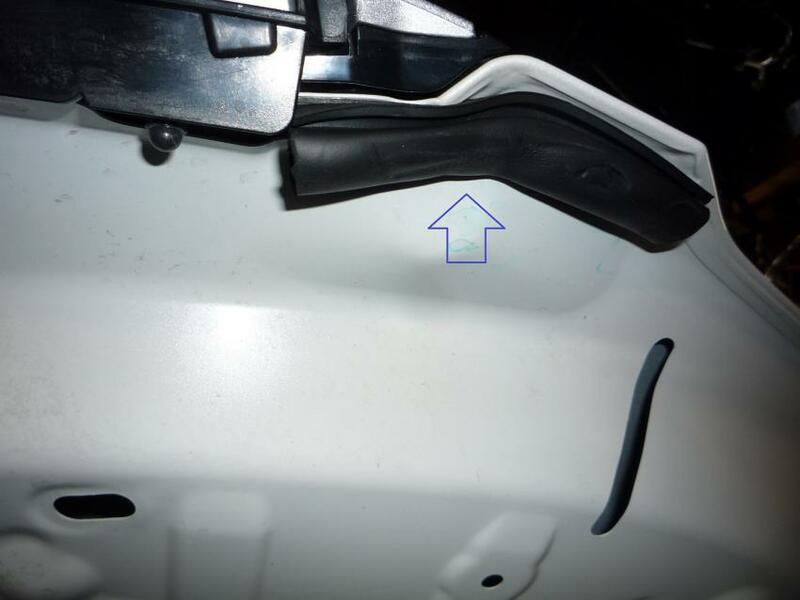 Splash pattern of salt deposits on the top plastic cover and components. We have a 17 XT Touring that is driven on the same roads and this spray pattern and deposits are not present. I too noticed the splatters of road salt on the TOP of the engine (19 limited), at least compared to my previous cars. I did wonder about it, but it seems to mostly end up on the plastic parts/covers, and haven't been too worried about it. My old Jetta had salt and moisture build up in places I couldn't see..... which probably is a worse scenario! Is it possible that the shutters on the 19 are contributing to the water going upward over the engine? I don’t know which, if any, earlier Foresters have shutters. Natedog and a1penguin like this. 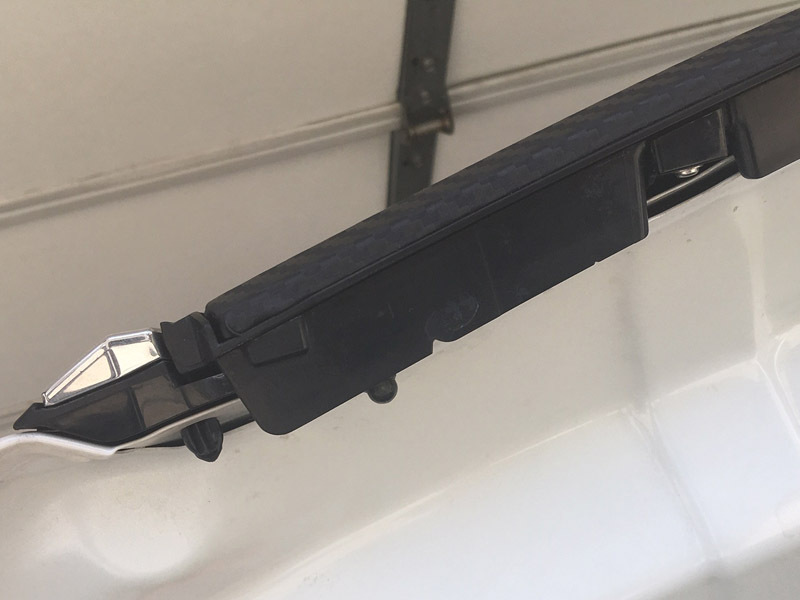 « Roof Rack clamp part number? - SOLVED! | Damaged Jack Point - how to fix?